Horacio Malvicino, pictured in one of the studio spaces he has designed, with Ocean Way Audio HR3 speakers in the background. BURBANK, CA, October 21, 2015 — Ocean Way Audio (OWA), a leading manufacturer of high-bandwidth reference monitors for the audiophile and professional audio market sectors, is hosting acclaimed New York-based firm Malvicino Design Group (MDG) at the 139th AES Convention in NYC (booth 337). Horacio Malvicino will be present at the OWA booth, and all parties will be available to speak about the new partnership that sees the two companies collaborating on select projects moving forward. MDG is a consulting and system integration firm specializing in innovative architectural, acoustical, and technical systems designs. With over three decades of experience in Studio, Broadcast and Multimedia facilities design and installations, the company has a solid reputation for creative, practical approaches integrated with solid engineering. 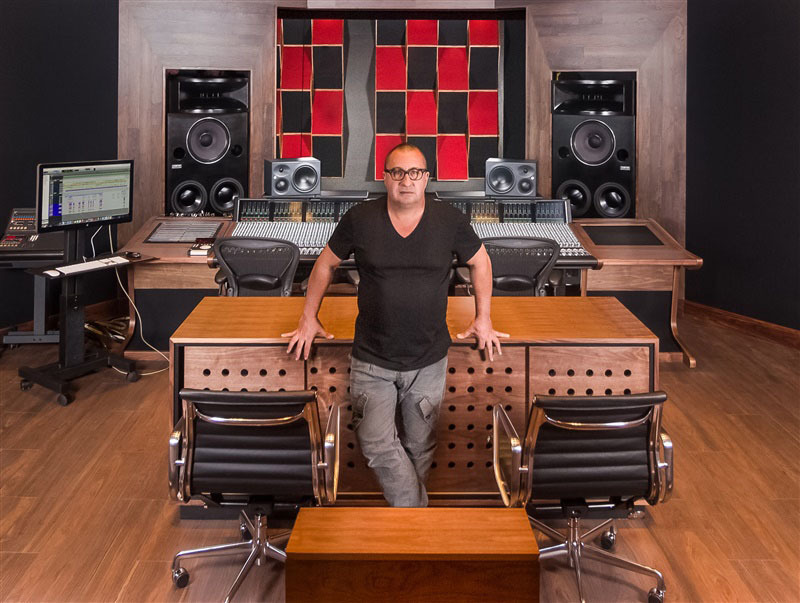 Photo Caption: Horacio Malvicino, pictured in one of the studio spaces he has designed, with Ocean Way Audio HR3 speakers in the background. Ocean Way Audio is exhibiting at booth 337 at the 139th International AES Convention in New York, NY.